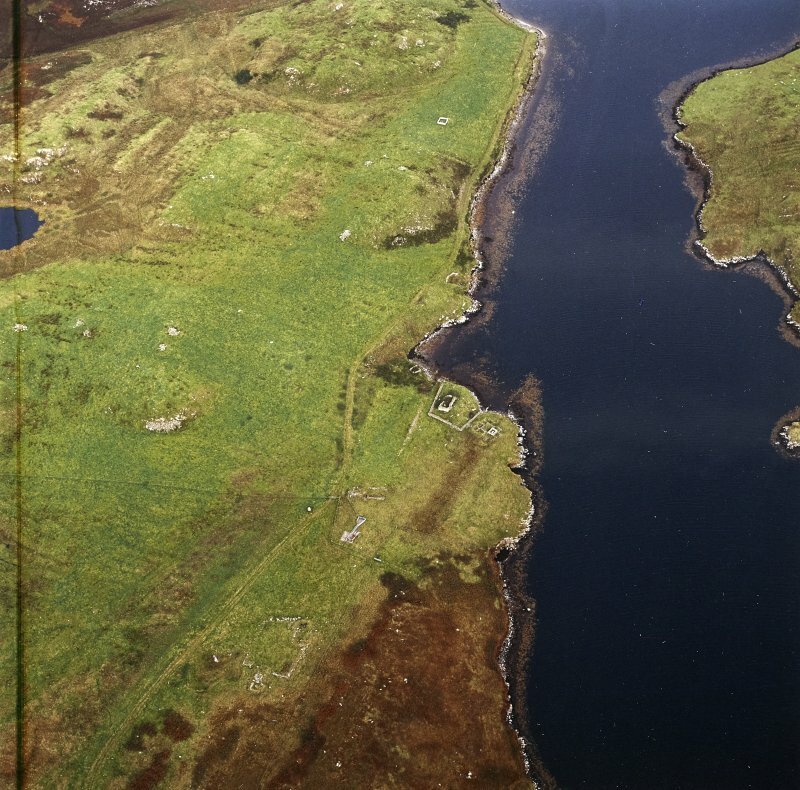 Oblique aerial view centred on the remains of the church and burial ground with the remains of the township adjacent, taken from the ENE. 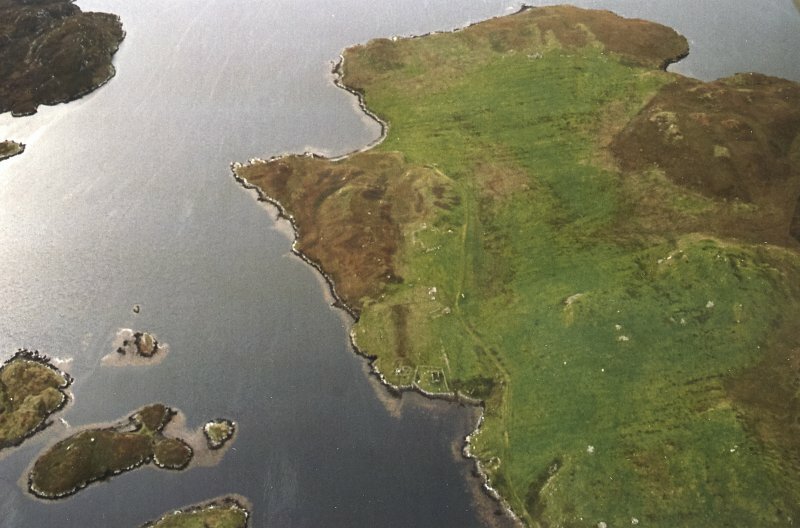 Oblique aerial view centred on the remains of the church and burial ground with the remains of the township adjacent, taken from the WSW. 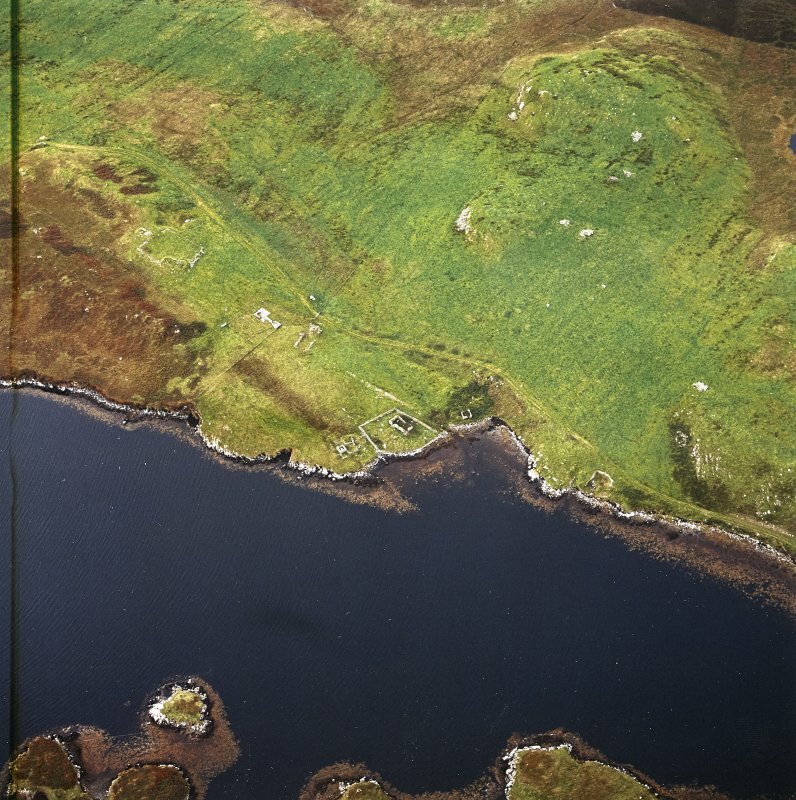 Oblique aerial view centred on the remains of the church and burial ground with the remains of the township adjacent, taken from the S.
Oblique aerial view centred on the remains of the church and burial ground with the remains of the township adjacent, taken from the SE. A township comprising eight unroofed buildings, all annotated as Ruins and one of which is annotated as St Columb's Church (NB32SE 1), three enclosures, one of which is annotated as a Grave Yard (NB32SE 1), three fields and a head-dyke is depicted on the 1st edition of the OS 6-inch map (Ross-shire, Island of Lewis 1854, sheet 33). 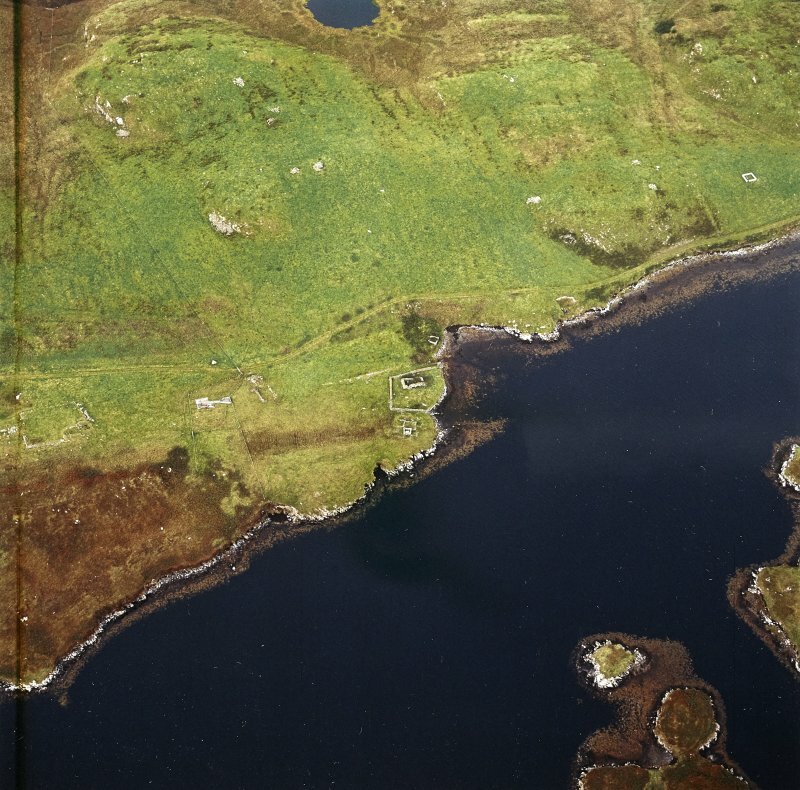 Eight unroofed buildings, three enclosures and two fields are shown on the current edition of the OS 1:10000 map (1974).